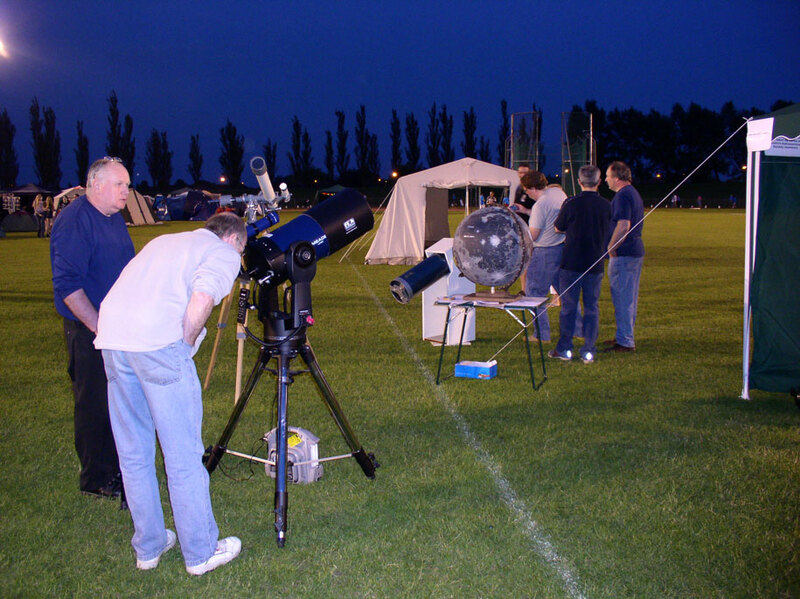 The DDAS provided solar and stargazing activities at the Cancer Research UK Relay for Life at Moorways Stadium in Derby from Saturday 17th to Sunday 18th June 2006. 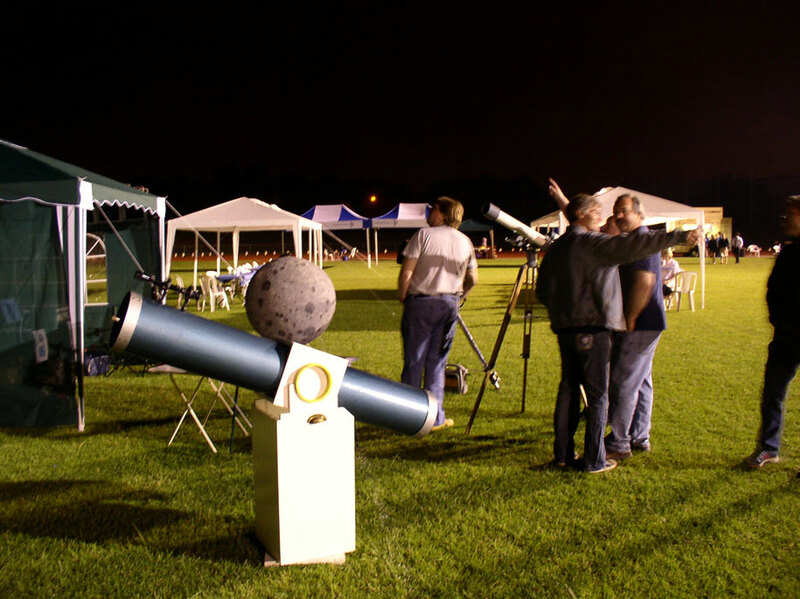 Many members turned out to help and a great day - and night - was had by all. 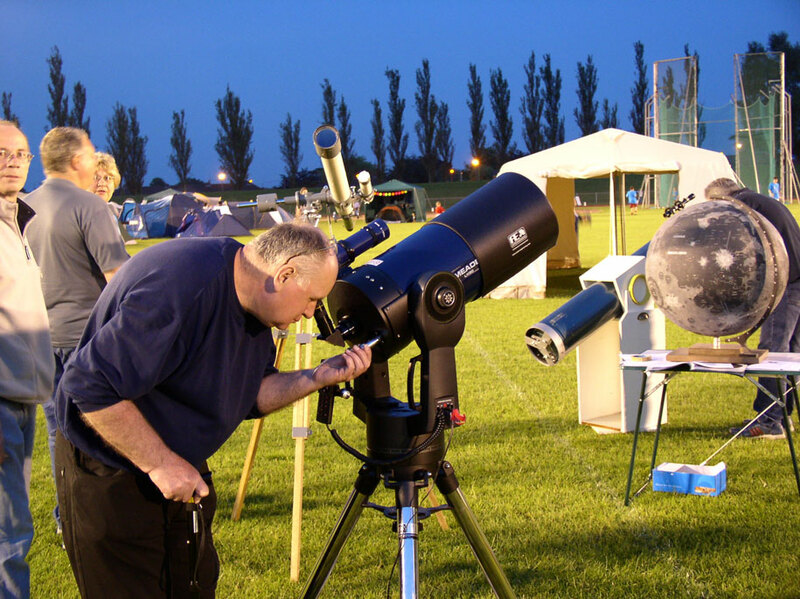 We were delighted to have been asked to take part in this event and provide out of this world activities for the participants and attendees. 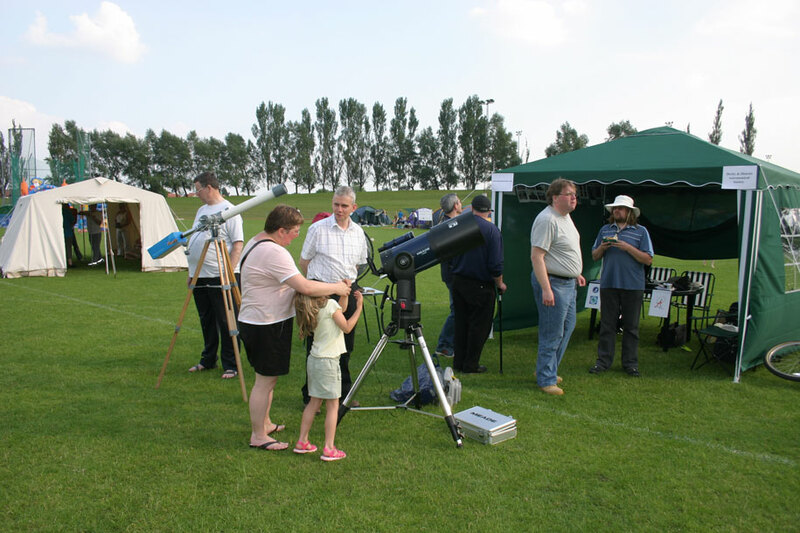 During the Saturday afternoon many people were able to glimpse the Sun's disc projected through a refractor provided by Mike Dumelow, as well as directly observe the filtered Sun through the Society's LX-90 telescope. 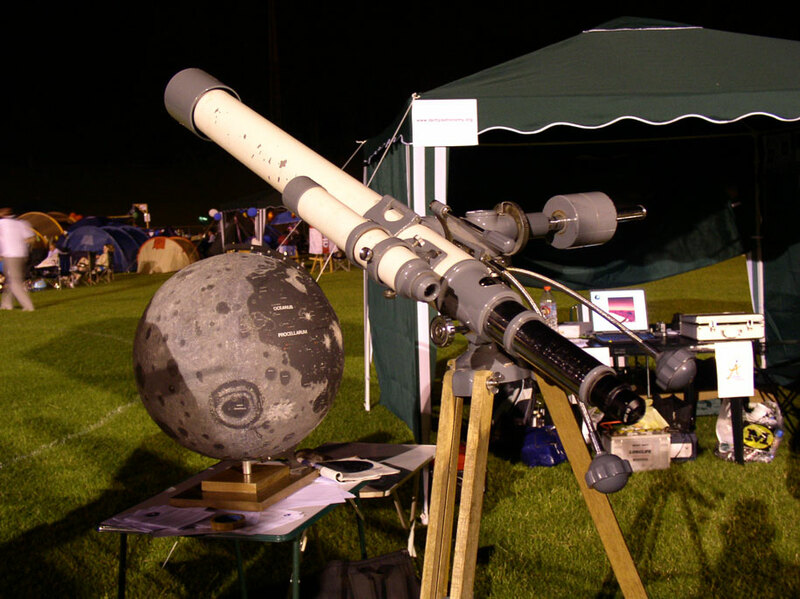 Mike also brought along a large Moon globe signed by Patrick Moore and Alan Chapman and this provided an eye-catching addition to our set up. 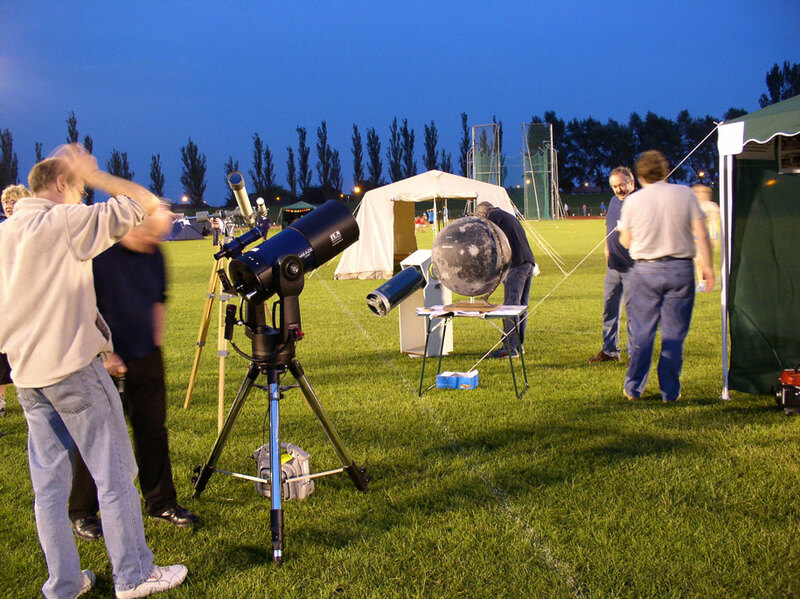 Jupiter stole the show in the evening as people were enthralled by what for many was their first view of the giant planet through a telescope. 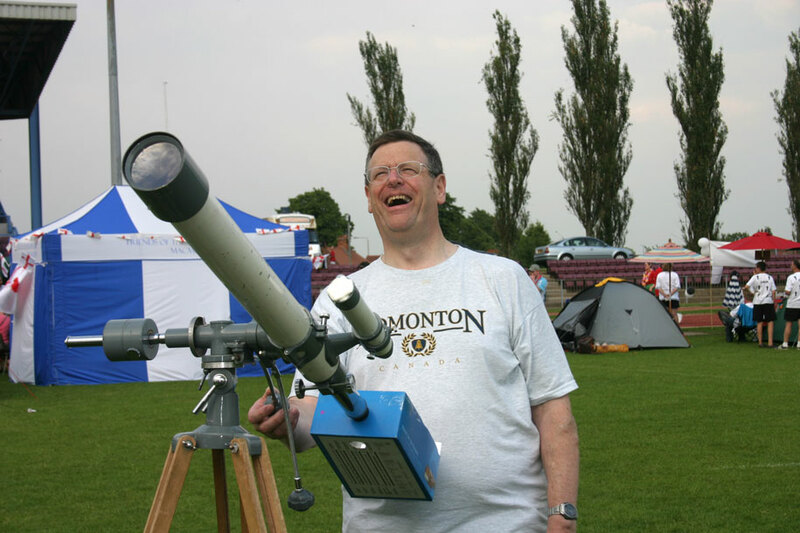 Both the LX-90 and an impressive 8" Dobsonian brought by Mike Dumelow provided this Jovian experience. 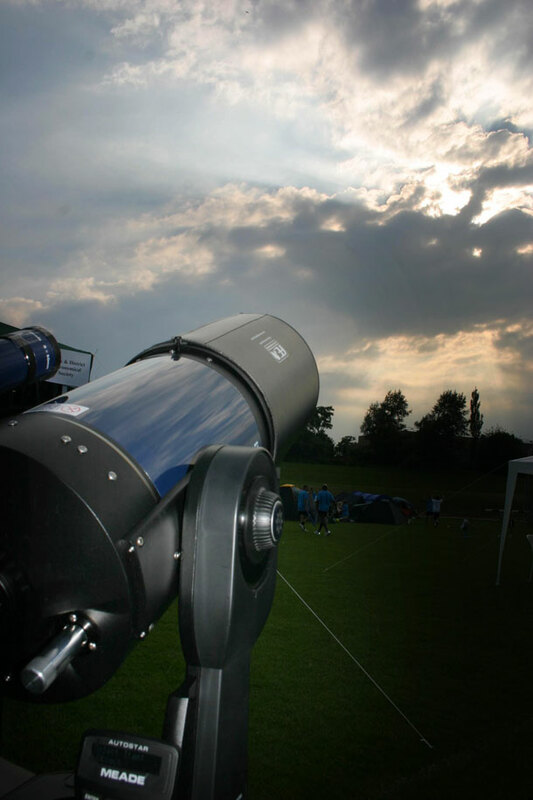 Sadly the clouds rolled in and we were unable to observe anything else overnight! 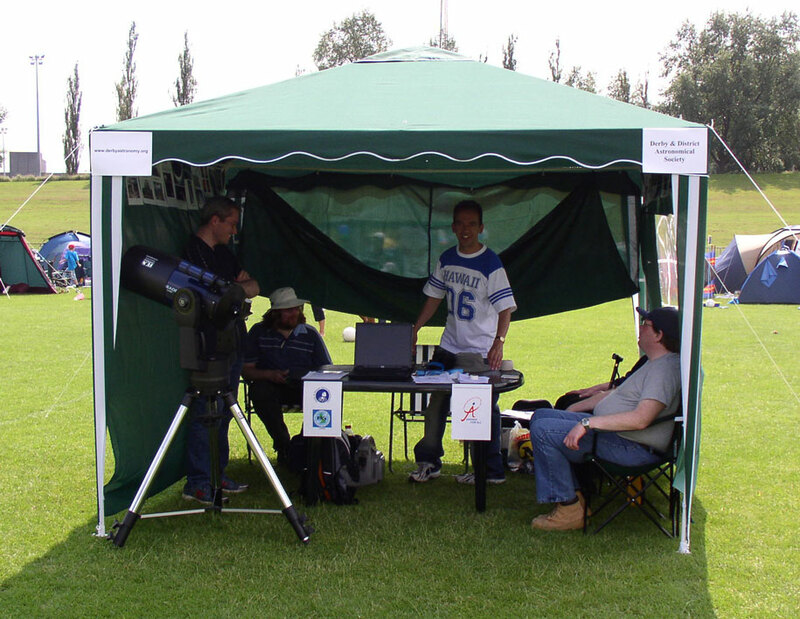 Nevertheless we kept people entertained with a couple of spectacular presentations of astronomical images on the DDAS laptop. 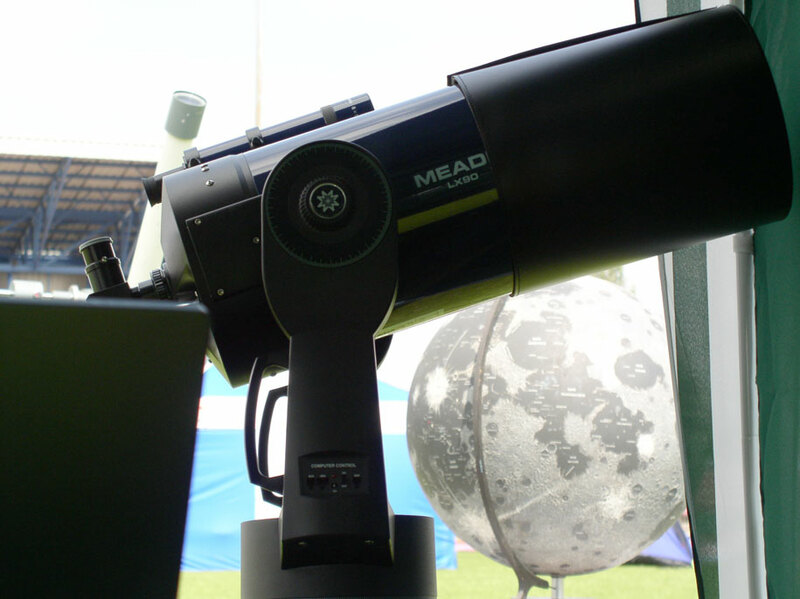 One was an enthralling audiovisual tour of our universe by Chris Newsome constructed entirely from images taken by himself, Adrian Brown and other DDAS members. 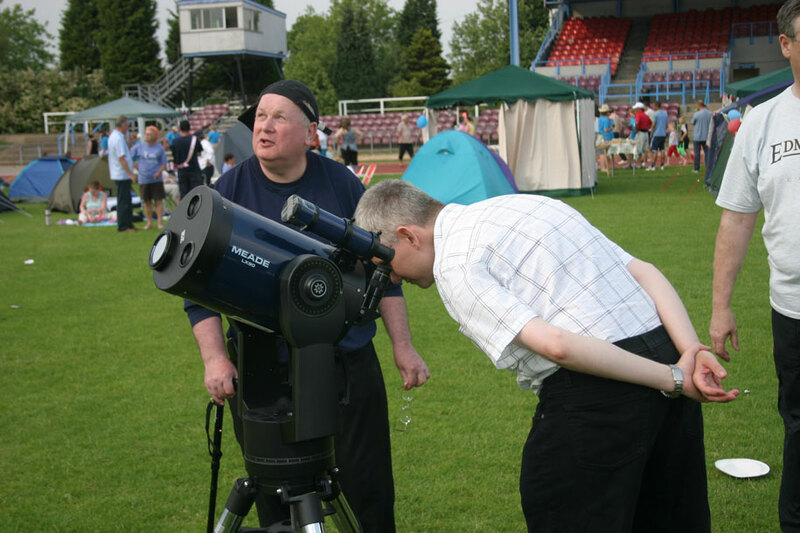 The other was a PowerPoint driven tour of our Solar System using a mixture of DDAS, NASA and other images assembled by Anthony Southwell. 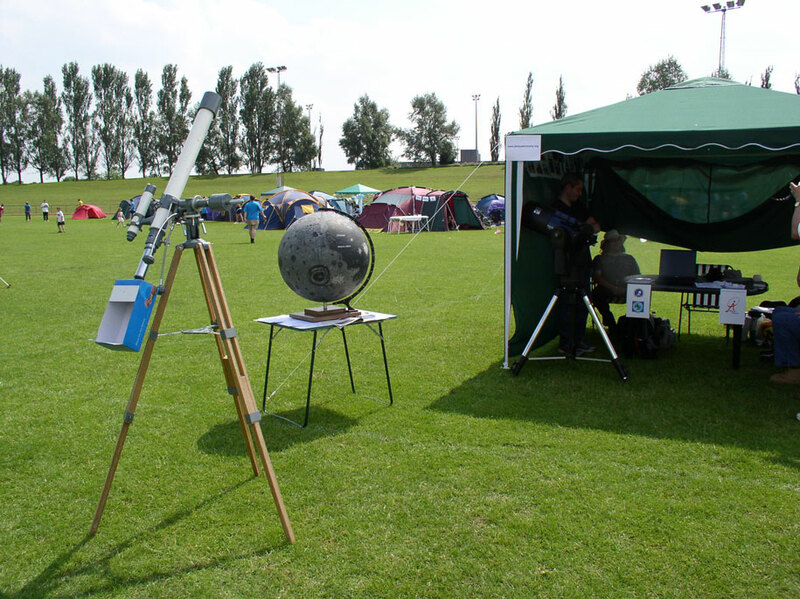 Our new club gazebo also saw 'first light' at the Relay, acting as welcome shade from the Sun, a housing for our presentations and as a gallery of astronomical images taken by our members. Pictures by Mike Lancaster and Chris Newsome. 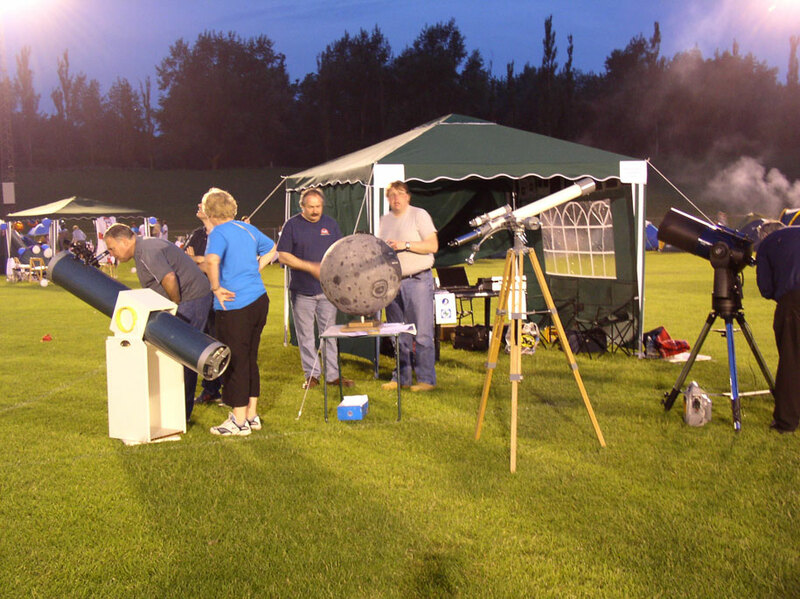 For pictures of our activities at the 2008 Relay For Life click here.